We here at IDG Connect have spoken to all kinds of tech luminaries over the years: CEOs, CTOs, CIOs, CMOs, plus experts in the realms of security, AI, Quantum, Blockchain, IoT, and more. Now we are letting you, the reader, get involved. What questions are we not asking? What issues are we missing? We’re giving you the chance to ask whatever you want to tech’s head honchos. First up is Malwarebytes CEO Marcin Kleczynski. 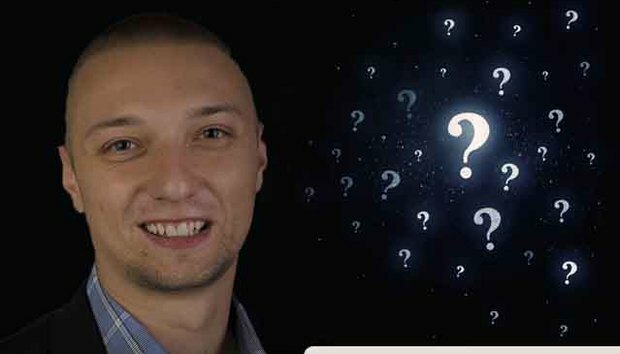 Polish-born Kleczynski founded Santa Clara-based Malwarebytes at age 18 while studying computer science at the University of Illinois. In the near-decade since, the company has risen to become one of the largest antivirus companies in the world. As well as being a trained pilot, he has previously spoken with IDG Connect about the prospect of DDoS-based ransomware, WannaCry and the Shadow Brokers group, and the best advice he’s received during his career. My question is around Sovereign country security. In today's world, should the state be involved in ensuring known attacks are blocked before they leave their country? Do you see State-run DLP programs being a future market? Should we see that? - Shawn B.
Kleczynski: “There is no short answer to this question. State-controlled cyber security is inevitable. If you go back in time to the American Old West, you saw attempts by local law enforcement to reduce crime in their towns. However, often the amount of crime overloaded the amount of law enforcement; then, organizations like the Pinkertons acted as a security force or detective agency, to fill the gaps where law enforcement lacked the resources in.